Viva! was invited as one of the guest chefs/cookery demonstrators by the Veggies outreach programme, Food for a Future. Veggies from Nottingham has been cooking up a vegan storm at hundreds of festivals and events with their burger van for 30 years. They are legends, frankly! Veggies' outreach programme - Food for a Future - is equally epic and run by a hard-working and lovely bunch of volunteers from the East Midlands (Derbyshire, Leicestershire and Nottingham itself). 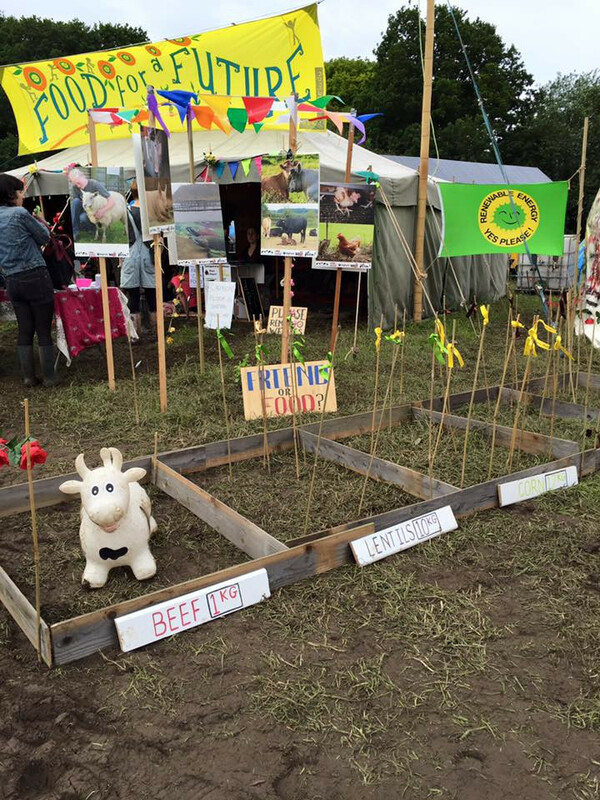 Veggies and Food for a Future don't only do Glastonbury but other festivals large and small around the UK. The stall next to the Veggies van got a lot of interest with its attention-grabbing A-frames, free recipe and campaign leaflets and there was a busy to and fro between there and the Food for a Future tent. The tent offered cookery demos throughout each day of the festival, free tasters of the food we cooked plus chocolate and other vegan goodies. There was a big table with tons of free literature, some mind and heart-opening interactive displays plus all of us in the team to offer advice, support, answer questions and more. People wanted to know everything about everything! 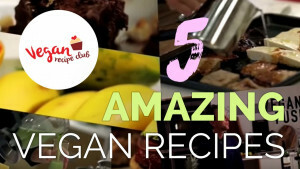 From where to buy tasty vegan chocolate and cheese to how to cook without eggs to what would happen to the animals to why is fish not an alternative to how to keep energised as a sports person to raising vegan or veggie kids and much more... It was so great to hear our combined experience, knowledge and enthusiasm get out there. Here's to next year - and here's to more groups around the country and at every festival taking the plunge to promote a plant-based diet. The world's animals, people and the environment need us! If you'd like to get involved, contact Viva! or Veggies - even if East Midlands isn't near you there are plenty of other groups across the UK doing wonderful outreach work, including street stalls, vegan festivals, mainstream festivals and more. Why not join them? You don't have to be super-experienced, just willing to learn and help out. Some of the recipes we made came from the Recipe Club of course but others are favourites of the FFAF homies or Veggies. They range from cooking to raw to blender recipes to healthy meals based on ready-made ingredients so there's something for everyone. Get rattlin' those pots and pans - or just switch on the blender or open a tin and a packet or two!